“If you wear Red Glasses, the things appear Red. 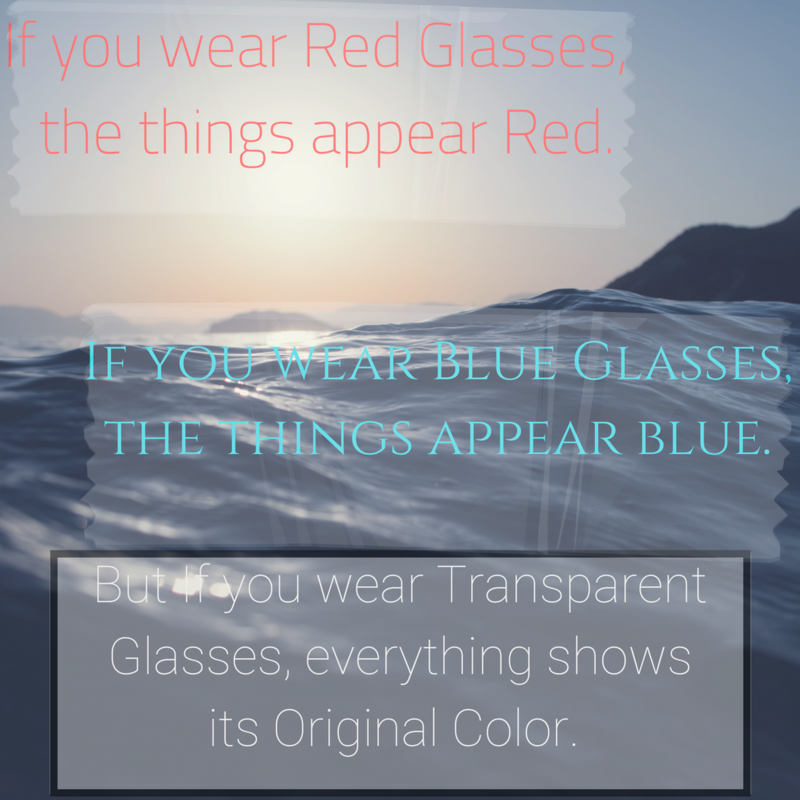 If you wear Blue Glasses, the things appear Blue. An interpretation of the world will appear negative when you are probably filled with negativity. Thank you so much… 🤗🤗😘😘..
You remind of my Girlfriend with same name…. May be or may not be…. I think it’s been a long time you’re active on WordPress…how are you ??…🤗🤗😘😘.. Thanks a lot for your lovely comment 😉…❤❤❤. Thank you so much dear… 🤗❤❤. Thank you so much for your very kind comment….❤❤🤗🤗😘. I’m really really thankful to you.. ❤❤😘. Glad You loved this Adii.. 😘😘😘😘..